If you can recall back that far, my friend Rhonda Baird and I traveled together to the fabulous Sisters of Earth conference in Terre Haute last summer. Rhonda, a seventh generation Aquarian Hoosier with her feet firmly planted, is a permaculture teacher, weaver, and blogger who also just happens to homeschool her kids. Maya, the one I call “Amazon” (not even a joke), is 12 years old and an accomplished fire-starter, overnight wilderness vision-quester, and, as of last summer, holds the distinction of being the youngest person to ever graduate from the full two-week Permaculture Design Course where she held her own with all the adults in the class. Caden, five, artistic and compelling, is also showing signs of unusual leadership. 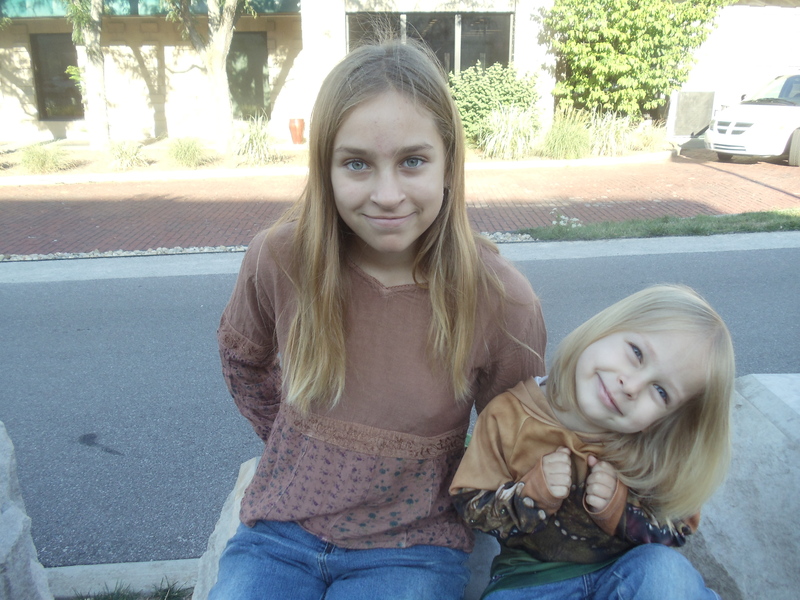 Both kids are highly original and feature what I call “stentorian” megaphone voices that may, someday, arouse gigantic crowds with their natural confidence and untrammeled vision. Here’s a post from Rhonda, talking about their first homeschool day this year, August 20th. Beyond that is a very interesting infographic about homeschooling. Did you know that whereas 48% of traditionally schooled children go on to college, 74% of homeschooled children do? And you can bet that they will be natural questioners and listeners, appreciating what the college environment might offer them yes, but thinking for themselves with their own minds intact. Today was our first day of school. It’s a new stage for us–not only are the grades different, but this is the first year I’m really consciously “doing pre-school” with Caden. So balancing the needs of pre-K and a burgeoning sixth grader are here in front of me. What does that look like from a Waldorf/Nature Connection/Permaculture/big emphasis on family view? Walk the dog on the B-line trail through town (stopping to smell the roses); breakfast at Bloomingfoods and running into a former permaculture student to talk about the great projects he’s working on. Geology/Geography: A look at Pangaea and continental drift theory. This videoreally put the concept in perspective for us. We puzzled out the relationship between continents and talked about the biogeographical implications and the relationship between mountains, ocean trenches, faults, volcanoes, earthquakes and tsunamis. More on this for Maya in the weeks to come. Meanwhile the preschooler, enjoyed working with the numbers 2 and 3, various coloring projects and drawing crab monsters. While Maya reviewed parts of speech, explored new vocabulary, and practiced math work from the previous year, Caden helped to prepare lunch. After a lunch break (with a breather for mom), we did some individual reading. Maya worked on sewing up a project while I read a beginning story to Caden from ourKeepers of the Animals curriculum. 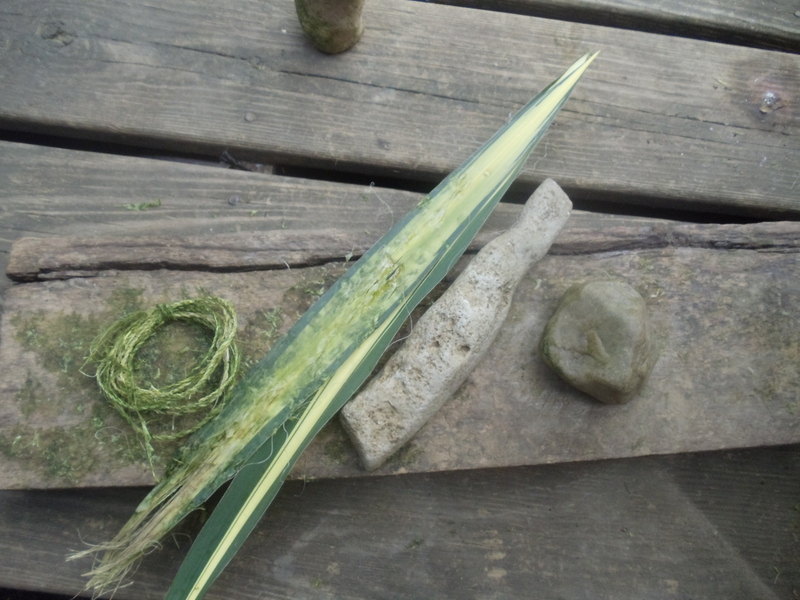 Yucca leaves in various states, stones for pounding out the material, and finished yucca cordage. Not every day will be this idyllic, but I think it’s been a lovely start to the year and I am grateful for this opportunity. This entry was posted in 2013, beyond permaculture, free energy, local action, new economy, unity consciousness, waking up. Bookmark the permalink. Britain is already in the grip of Little Emperor Syndrome, a phenomenon first identified in China, where the one-child policy has led to parents and grandparents excessively pampering their single offspring.